Language demonstrates structure while also showing considerable variation at all levels: languages differ from one another while still being shaped by the same principles; utterances within a language differ from one another while exhibiting the same structural patterns; languages change over time, but in fairly regular ways. 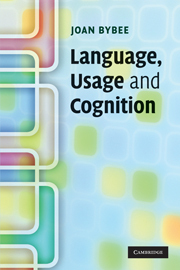 This book focuses on the dynamic processes that create languages and give them their structure and variance. 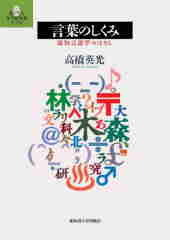 It outlines a theory of language that addresses the nature of grammar, taking into account its variance and gradience, and seeks explanation in terms of the recurrent processes that operate in language use. The evidence is based on the study of large corpora of spoken and written language, what we know about how languages change, as well as the results of experiments with language users. The result is an integrated theory of language use and language change which has implications for cognitive processing and language evolution. 6 Where do constructions come from? 7 Reanalysis or the gradual creation of new categories?